Do Dolphins Migrate or Hibernate? Killer whales (Orcinus orca) can only breathe voluntarily, which means they will drown if they fall completely asleep in the same way as people. 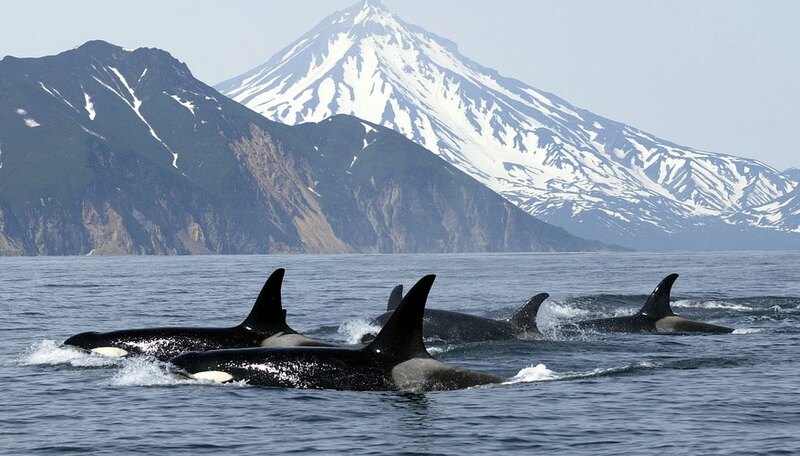 Killer whales are also called "orcas" and belong to a family called cetaceans, which includes animals such as dolphins and Beluga whales. Studies of cetaceans indicate that killer whales probably sleep by shutting down one half of their brain at a time, which allows them to maintain enough awareness to swim to the surface to breathe. When they sleep, killer whales swim slowly near other members of their pod. In captivity, killer whales lie on the bottom of their pools or float on the water surface for five to eight hours per day. In the wild, the pod swims close together and travels slowly forward on the ocean surface for long periods. Another indication that killer whales are asleep is when they close one eye and keep the other open. The side of the brain opposite the closed eye is thought to be asleep. Mother killer whales seem to suffer from sleep deprivation when caring for their newborn calves. Captive newborn killer whales seemed to rarely sleep during the first weeks of life in a study conducted by neuroscientist Joseph Siegel and others in 2005. The non-sleeping behavior continued for over a month, and the calves' mothers slept little during this time as well. Mortality rates in newborn killer whales are high, and the continual wakefulness may help protect the calves from predators. Green, Jenny. "How Do Killer Whales Sleep?" Sciencing, https://sciencing.com/killer-whales-sleep-4569064.html. 24 April 2017.